Below are three concepts Ward believes entrepreneurs need to better understand about raising funding at the seed stage, when you’re just getting your very first funding. To date, his equity management software company Carta has raised nearly $150 million, from its seed funding in 2012 to its most recent Series D round last December. And it’s growing fast. The company told Business Insider recently that as of this January, its annual reoccurring revenue (ARR) reached $50 million, up from $23.2 million in 2017. But for Ward, the venture capital hasn’t always been flowing. The chief exec told Business Insider that completing his initial seed round for Carta — initially known as eShares — was "brutal," raising $1.8 million in what felt like $25,000 increments. "It took me four months, basically non-stop. That’s all I did," Ward said in a recent interview. "It’s part of the boot camp, or the training of an entrepreneur. You learn a ton through that process." Today, as a way of "paying it forward," Ward helps coach early-stage founders with their fundraising efforts. 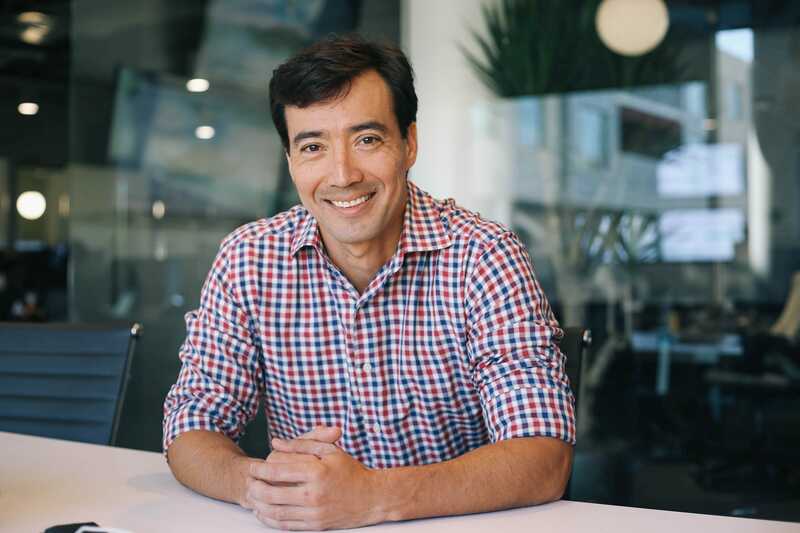 He told us that he sees many entrepreneurs making the same common mistakes when raising a seed round — some of which he also made while pitching investors for the first time on Silicon Valley’s storied Sand Hill Road. The first mistake, Ward says, is that early-stage founders often think fundraising is an exercise in convincing investors. In reality, it’s hard to change somebody’s mind — it’s more productive, Ward says, to find investors who get what you’re going for, rather than to keep throwing yourself into a losing situation. "Seed investors invest because they connect and find passion with the problem," he said. "If they don’t connect and find passion, they’re just not going to do it. You can’t convince them." To put a fine point on it, Ward says that it’s a mistake to try to convince someone who’s already said no. Cut your losses and move on. "There are enough seed investors in the world," he said. "Quickly do the pitch and if it doesn’t resonate, get out and go to the next one." The second mistake seed-stage founders make, according to Ward, is thinking that their ideas are either intrinsically right or wrong, rather than understanding the market dynamics at play. Which is to say, it helps to understand any larger market trends at play. When Ward was initially raising money for Carta back in 2012, for instance, photo-sharing apps were all the rage — and interest in a financial technology (fintech) startup like Carta was nil. "[Investors] were like, ‘Cap tables? Really? Why aren’t you doing like photo-sharing cap tables or something?’" Ward said. "And now fintech is hot, and you can’t get a photo-sharing app funded to save your life." Ward says that ideas are not right or wrong, but founders must understand the venture market they’re entering and try to figure out a way to frame their idea in a way that makes sense to would-be investors, given the trends of the day. Finally, Ward thinks that founders often don’t understand to whom they’re actually pitching. He says that seed-stage investors aren’t trying to figure out if a company has a strong business case. Instead, they’re trying to figure out if a startup has a strong enough foundation to be attractive to the next wave of venture capital investors, who will pour in the Series A round, which is usually more sizable. In other words, seed stage investors want to see a company that has the potential to last until it gets even more money in the next round of funding. That’s true, too, for Series A investors, who consider whether a company will be attractive to Series B or C investors. Even the later investors want to invest in companies that will soar in an IPO. "Series A and B investors are thinking, what do the growth investors want? What do they get excited about? And growth people are all about what the IPO markets want," Ward explains. "Everyone’s just kind of looking upstream. So understanding the manufacturing lines of creating great companies and knowing where you fit in that manufacturing line is really important for founders to understand."